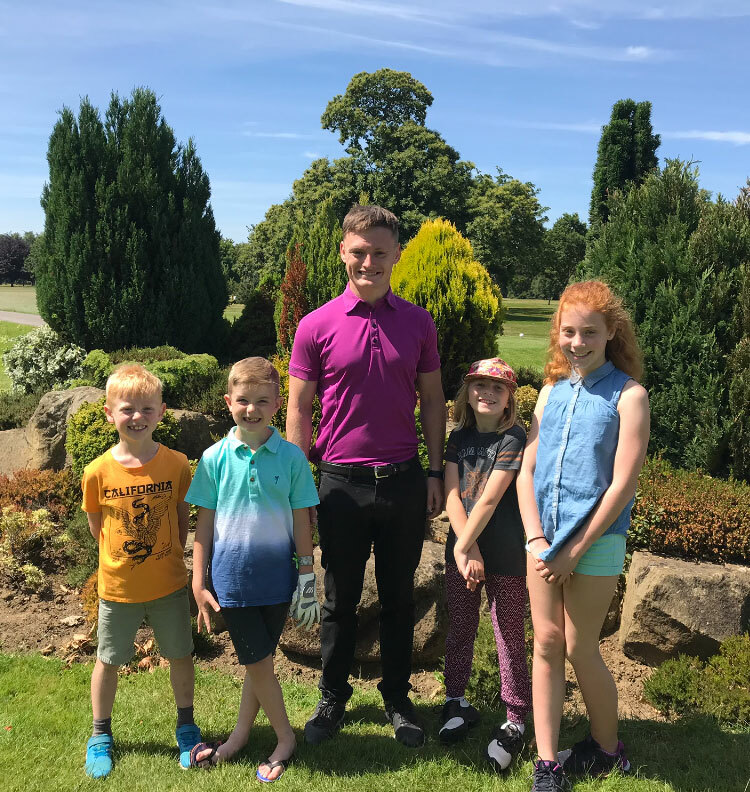 The Rob Stephenson Trust has sponsored the Professional Coach, Joel Preston, at Malton & Norton Golf club to provide free lessons for local juniors who wish to take up the sport. The programme has been very successful, with a number of new budding golfers trying their hand at golf. Joel said ‘ I have really enjoyed teaching the new players and one young man who is only six years old is hitting the ball a massive 80 yards, so look out for him in the future’. Joel is pictured in the centre with some of his new players outside the golf club. In fact, Joel has realised there is a need for junior coaching over the summer holidays and is offering heavily reduced price lessons over the school holiday for any boy or girl who would like to try it out. You do not have to be member. Golf clubs will be provided. The lessons are for 2 hours most Wednesdays and Fridays. For more information call the professional shop on 01653 693882.